Being told that the two brothers aged 9 and 10 at today’s family photo session were not keen on having their photo taken was of no surprise to me. I doubt that there are very many children (although they do exist) who want to spend an evening with having their photograph taken. It was lovely getting to know the two brothers as we talked. To find out what they’d much rather be doing instead, and apart from the obvious t.v. and gaming draw it was interesting to find out that what they wanted to do was similar to what we were doing already. Taking their dog out, going for walk and being outside. Despite their initial resistance the boys were an absolute joy to photograph. Also I’m not just saying they were a joy to photograph because I have to. They really brought their charm and personality to the photographs, asking me to take photos of themselves lying on a bench, racing each other and giving each other piggy backs. What I loved particularly was that the boys were as different in personality as they were in looks, both very striking taking different colourings and features from each parent. Seeing these boys now only a a couple of years older than my son, made me appreciate how quickly our children change and grow up, and also how much their interests change. 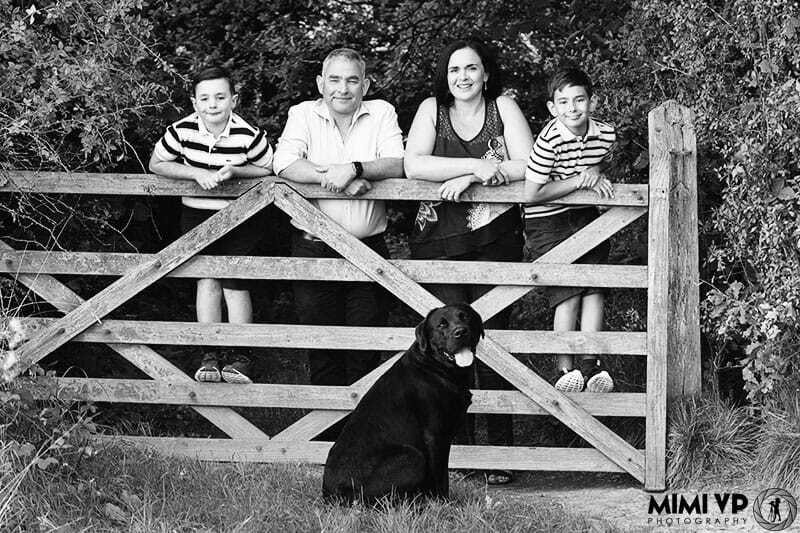 Its lovely to capture these special family moments and document the changes in family life. I hope that these boys and their parents will look back at the photos and appreciate how important it is to have photographic reminders of family memories. I’m looking forward to meeting up with them all again in a couple of weeks. I will have by then edited the final selection of images so that they can choose their favorites. In the meantime, I’m reminding myself to print as many photos of my own children as I do for the families I photograph. Thanks Mimi! You did a fab job to make it as painless as possible, the kids were pretty well behaved, surprisingly, but to be honest I think it was hubby who was the least enthusiastic (he was hungry & tired I think & never very interested in family photos!). looking forward to seeing the results.